It is possible to move to a higher league when your arena’s team power is below the highest level guard in your current league. Found that out the hard way today! Hahaha! It would be interesting to know what I did to trigger it. I have a few theories, for what they are worth. Game looks at how many hoarded resources you have and figures out what would happen if you spent them. Game looks at your heroes that aren’t in your arena team, and decides what would happen if you swapped a stronger hero in. Game looks at your winning percentage in your current league. 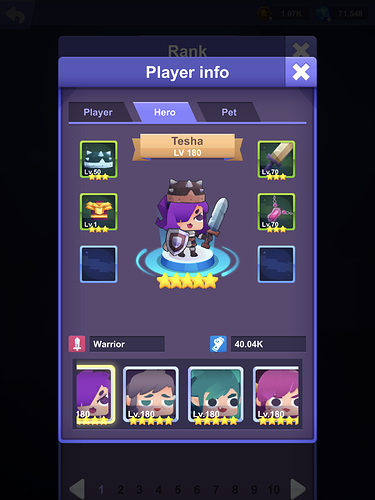 Game looks at your pets, even though they aren’t included in your arena team’s power rating. Game looks at your active skill upgrades and factors those in. Game looks at your strongest arena hero and thinks it is too powerful for the current league. Game decides things differently, once you reach League D (where you can win an outfit). Game looks at your player level vs. guard level. All of those would apply to me, so I may never know what exactly triggered it. All I can say for sure is that my arena team’s listed power was definitely well below the strongest guard’s listed power, and I was bumped to the next league up anyway. This is not a complaint. Factoring everything in, I think justice was served. I would like to have not been bumped for one more season, but I crossed the invisible line. Finding the invisible line worked for all the previous seasons, but not this one. It’s all good! The game uses best equipment that you own on your characters, even if you don’t, to determine your rating. I think all your theories are not the reason. If you have some equipment with 3 pieces of each set in your possession that can easily bump a heroes power rating, to a crazy amount. 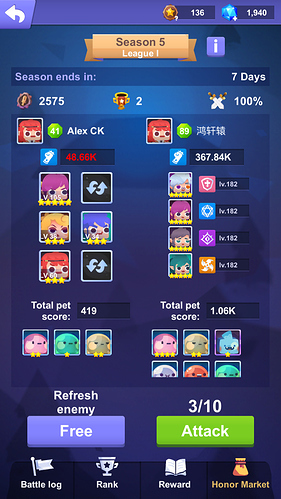 The game also puts the strongest team with your best heroes as your power rating. Now all your theories are good suggestions, to stop people from doing what I did. On server 3, I chilled in Bracket D while working on passive skills for 3- 4 seasons. You probably don’t remember a Rhandar running into your blockade in League D, and getting cremated. I remember you though, as I moved past you to the next league. I came to that server pretty late and wasn’t much of a paying customer, so was easy pickings. Was only winning about 60% of the time. Against you? Solid 0%! Hahaha! So far, so good on this server. It’s been a long time since I’ve lost a battle. League C isn’t nearly as bad as I feared, mainly because I sandbagged power in the arena so didn’t come in underpowered. I have no delusions long-term though. I’d be more than happy to stay in the top 5. Moving up quickly in the leagues doesn’t really offer much, other than more powerful teams zip through the story and dark rush better. I certainly expect you to be in the top 5 long-term, or perhaps even the top spot (much like your guild). Time will tell. P.S. I think your guild will be #1 long-term and I think mine will be #2. Works for me! Thanks for the awesome guide. These kind of posts deserves a medal. I was gonna create a new topic to report a player but at the end, i rather add traffic on this amazing post, because it did not get the credit it deserves ! 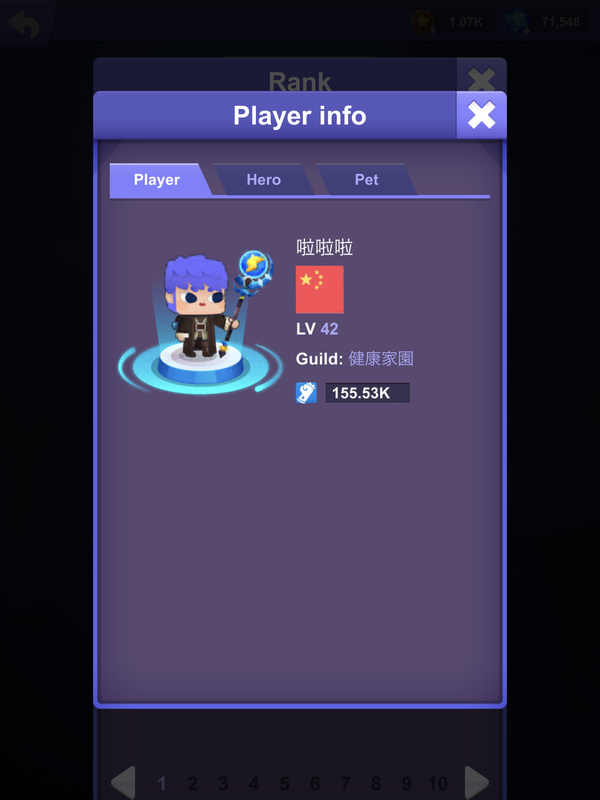 @marspark i created a alt account on separate server and now that i understand most of the variables i would find it very surprising that this dude evolved from 40k power team to 367K in 3 arenas days for free in league I on the power tablet server. Please investigate this account . Nice screenshot. Lots of very suspicious activity in League I today. Here’s what I’m seeing at the top of the rankings there now. Looks like the player changed names and lost a few hero levels to blend in better? Just changed names again and gained some player levels in the time it took me to post that. Can’t miss him. He can run but he can’t hide. Ranked #1 in League I on the Power Tablet server. Blending in well? Not really. @Trisen deserves the medal. The Arena & Build Guide recently posted in the FAQ is the best post I’ve seen here. It’s ready for a PowerPoint presentation! The player vanished hours ago. Thought you got him/her.